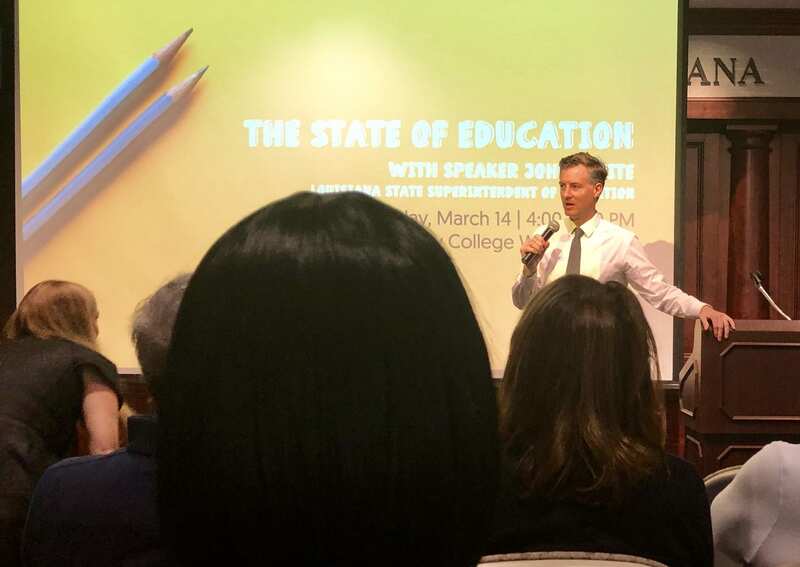 State Superintendent of Education John White spoke Thursday, March 14 at Centenary College in Shreveport as part of a speaker series presented by the Community Foundation of North Louisiana. White’s presentation discussed the five topics his appointment has focused on, beginning with early childhood education. He said that while there is no substitution for loving parents who provide a stable home life, it is necessary to recognize the importance of education-centered childcare for young children. White went on to explain that in order to break that cycle of poverty, parents need to be able to work, which in turn means that childcare needs to be more readily available. “It can be a professional learning experience,” White explained and referenced Head Start as well as the incorporation of preschool programs into the public schools. In order to achieve this throughout other childcare entities, he believes that there are three things which can make it possible: increasing pay for childcare teachers, growing the number of spots available in childcare services and moving these systems into local oversight rather than state direction. White proposed that teachers were overwhelmed by not knowing which standard they were actually being held to and were responsible for. Thirdly, White discussed the difficulties that new educators encounter when they are first entering the schools as teachers. He questioned the rationality of assigning someone completely inexperienced in the classroom with the same responsibilities and expectations as a seasoned professional. 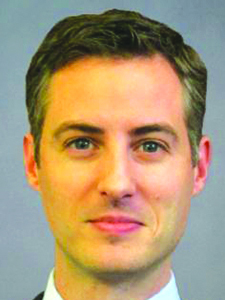 White noted that the final year of a teacher’s college education should be a classroom residency rather than more study related to the student’s major. Alternatives to higher education were then discussed. White said not enough attention is being paid to the future for students after they receive their diplomas. White stated that while 90 percent of Louisianans graduate high school or have a GED, only 20 percent obtain a four-year degree.